Get the Funk Out! : 3/19/18 @ 9:00am PST, Veera Hiranandani joined Janeane on KUCI 88.9fm to talk about her deeply personal and emotionally resonant new novel, THE NIGHT DIARY. 3/19/18 @ 9:00am PST, Veera Hiranandani joined Janeane on KUCI 88.9fm to talk about her deeply personal and emotionally resonant new novel, THE NIGHT DIARY. LISTEN to today's inspiring conversation with author Veera Hiranandani! Inspired by Hiranandani’s own father and his family’s journey, THE NIGHT DIARY tells the story of India’s partition, a division that spawned vicious xenophobia and caused the upheaval of more than 14 million lives overnight in what is known to be the single largest human migration in history. THE NIGHT DIARY is told through letters written by 12-year-old Nisha, half-Muslim, half-Hindu. It's 1947, and India, newly independent of British rule, has been separated into two countries: Pakistan and India. The divide has created much tension between Hindus and Muslims, and hundreds of thousands are killed crossing borders. Nisha doesn't know where she belongs, or what her country is anymore. When Papa decides it's too dangerous to stay in what is now Pakistan, Nisha and her family become refugees and by train and by foot to reach their new home. The journey is long, difficult, and dangerous, and after losing her mother as a baby, Nisha can't imagine losing her homeland, too. But even if her country has been ripped apart, Nisha still believes in the possibility of putting herself back together. This all-too-recent history is more important than ever as the daily news headlines are filled with heart-wrenching stories of the refugee crisis, devastating reports of acts of xenophobia, and a lack of empathy towards fellow humans. 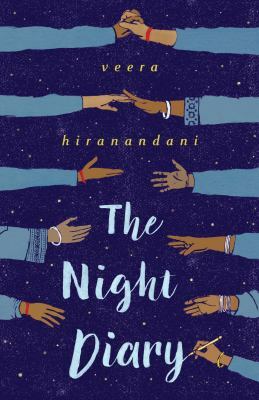 With THE NIGHT DIARY, Hiranandani has created a stunning new classic for middle grade readers and a reminder that hope will always lie in the struggle for unity, even in the darkest of hours. Veera Hiranandani earned her MFA in creative writing at Sarah Lawrence College. 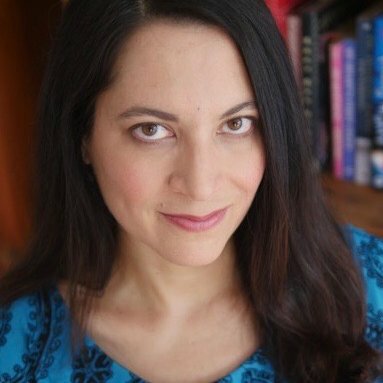 She is the author of The Whole Story of Half a Girl, which was named a Sydney Taylor Notable Book and a South Asian Book Award Finalist. A former book editor, she now teaches creative writing at Sarah Lawrence College's Writing Institute and Writopia Lab. Author and writing teacher. THE NIGHT DIARY (Dial, 2018) THE WHOLE STORY OF HALF A GIRL (Delacorte) and PHOEBE G. GREEN (Grosset & Dunlap). Rep'd by @saraagent.